$2,024.99 $1,875.00 You save $149.99! *Please allow "up to" 10 days or less for building your system and shipping. The AmigaONE X5000 from A-EON Technology Ltd is the most powerful Power Architecture® based home computer available today. Also the most powerful AmigaOS Computer ever! The AmigaOne X5000 is the fastest computer ever engineered to run AmigaOS natively. It's modern features are offering new and exciting potential to the AmigaOS market. It is important to note that the this motherboard code named Cyrus was designed from the very start to run AmigaOS. This new AmigaOne will offer Amiga lovers the chance to purchase and enjoy the X5000 before the OS4.1 ISO has been finalized by Hyperion Entertainment. Customers who purchase a AmigaOneX5000 will receive a serial number they can use to register there copy of AmigaOS4.1 Final Edition update 1 X5000 Pre-Release ISO. We will provide a free RTL 8139 PCI Ethernet card to each customer. In addition Amiga On The Lake will be providing, with each AmigaOne X5000 System sold a new copy of the Enhancer Software Plus Edition Version 1.4 (Free upgrade to 1.5) and a new copy of Personal Paint 7.3b for OS4 both for free But that's not all. In addition you will receive our own "Getting Started Booklet" with your new AmigaOneX5000. Also you will also receive a 36 page color bound handbook of the Cyrus plus motherboard technical reference manual. If that was not enough, we have also included 2 free Amiga On The Lake custom magnets, a Red Boing Ball and the X5000 domed sticker and our custom bootable 8Gb USB for fast AmigaOS reinstall. Again all free. And this is not all by a long shot! * Includes a "Free USB/SATA/FAN Hub". This added hardware included for free on all systems, gives full USB power to all 3 USB ports on the front panel (and to the 22 in 1 card reader option). This hub also includes a internal USB port that can also be used (see picture above). 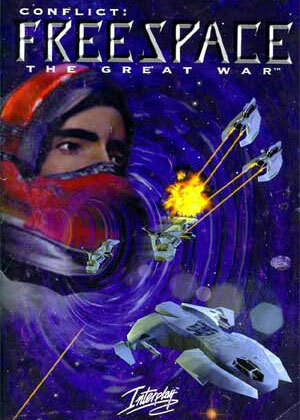 * Also Includes "Free Hyperion Entertainment Game Pack" of Gorky 17 and FREESPACE The Great War. * We also are very proud to include "A Free copy of Digital Universe v1.7". * We now have been given permission to "pre-install"
The FREEWARE Edition of the SDK Browser (see link at the bottom of the page) software for AmigaOS4 by Jamie Krueger of BITbyBIT Software Group on every AmigaOneX5000 sold. "Thank you Jamie!" After using this great software we are sure that you will buy the full version. It really is, THAT GOOD. *We now have been given permission to "pre-install"
Workbench Explorer! The programing powerhouse Mark Ritter, has provides us AmigaOne owners, with his GREAT FREEWARE file manager and we are going to include this with all AmigaOne X5000 purchases!! We are also going to include it in the Amidock so you can get to it fast and experience this great program! "Thank you Mark!" This system is running Warp3D Nova including the new OpenGL ES 2.0! The AmigaOne X5000 System, comes all together with a premium Fractal Design Core 2300 case. Top quality 550 watt power supply, A New tested (guaranteed to work) Sound Card, Radeon R-7 250 graphic card, 4GB ram and a 1.0TB Seagate Desktop HDD 3.5-inch SATA 6.0Gb/s 7200RPM Hard Drive, Internal DVD/CD-writer reader. The system also comes with a custom 8GB USB stick (see above pictures) with AmigaOS4.1 FE prerelease and the enhancer software for ease OS re-installs with instructions. We have also included 2 free Amiga On The Lake custom magnets, a Red Boing Ball and the X5000 domed name plate all for free (see above pictures). Options for AmigaOS4.1 or AmigaOS4.1 & Enhancer Software Pack Install on your Hard Drive. USB backup drive with options for AmigaOS4.1 or AmigaOS4.1 & Enhancer Software Pack Install. RAM Options. 4Gb, 8Gb or 16Gb. Hard Drive Options. Including different sizes of HHD's, Hybrid Drives and many SSD's including consumer and professional Ultra-efficient Block Management & Wear Leveling SSD's. A PCI SATA 2 port card (SATA 1.5). For use in one PCI slot (must use on board Ethernet driver to free up a PCI slot). 3.5in Front Bay 22-in-1 Internal Multi Media Memory Card Reader with Simultaneous Access. Powered by the free USB/SATA/FAN Hub at full power. Super-CPU Fan's with two options. Red LED side case fan. Wireless Remote with Power/Reset Function PCIe. Power on and restart you AmigaOne with a wireless remote. AmigaOS4.1 Universal DB9 to USB Joystick Adapter Module. External DVD reader Writer (need's full power USB's. We provided that with our FREE included USB/SATA/Fan Hub). All Systems are double boxed with protective inserts to ensure safe travels to it's new home! The AmigaONE X5000 features a 64-bit PowerPC e5500 Architecture-based Duel Core microprocessor from NXP Semiconductor. Our Case is the Thermaltake V100 Mid-Tower Chassis. 3 USB ports, Power and Reset Buttons, LED Hard Drive Light All on Front Panel. The V100 mid-tower chassis features one preinstalled 120mm fan and supports up to a standard ATX motherboard. The V100 supports the latest PC hardware and all high-end GPU solutions, guarantees on unparalleled expandability for high-end configurations to satisfy the market where users have opted for stylish PC chassis with advanced features and aesthetic appeal. The V100’s unparalleled cooling ability offers various mounting points to support any type of cooling you can dream of including DIY/AIO liquid-cooling systems and air-cooling units. Built-in 120mm rear fan, users can install two 140mm fans at the front to optimize system ventilation. It is a great computer and the guys at Amiga On The Lake give great service. They endured my many questions. They put together a great computer. It arrived on my front porch well packed and ready to use. I couldn't be more pleased with my new computer or the services given.